This week we were to create a layout about celebration. Easy-peasy! 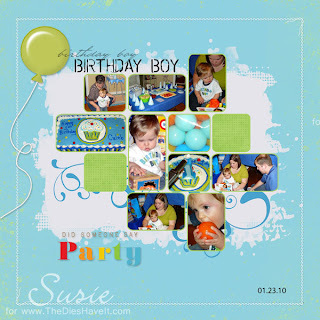 Out came the birthday layout ideas. This was Caleb's first birthday family celebration. I can't believe how little he was then and how grown up a now-four year old seems in comparison.